Although the Manneken Pis may be a particularly small statue, it has a reputation that has become, over time, the symbol of Brussels, or even of all of Belgium. 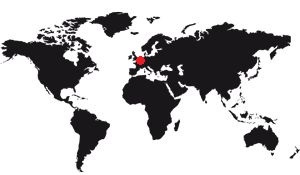 So of course there are a lot of copies around the world. One of them is special because it dates from a similar time to the manufacture of the Manneken-Pis and there is a doubt on which of the two is the original, but apart from it, there are around the world a very large number of replicas of this statue. 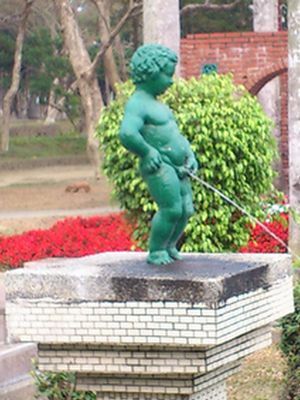 It must also be said that making a statue of a child who urinates in public is daring but not necessarily original. First of all, you have to distinguish between official and non-official copies, because there is a difference between the two. 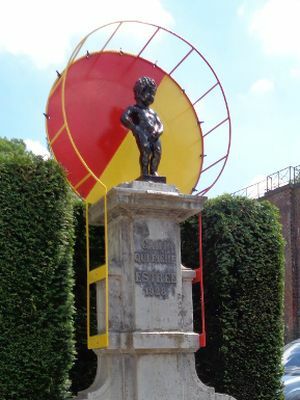 An official copy is a replica melted by the city of Brussels and offered to another city or organization to put forward a bond of friendship, an agreement, or any relation between Brussels and this city. 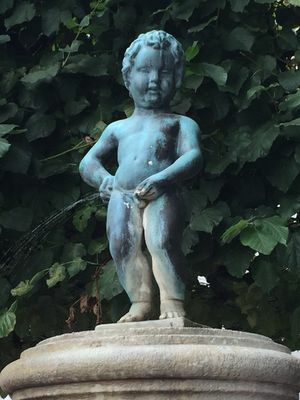 On the other hand, an unofficial copy is a reproduction of the statue placed in a public place but not recognized by Brussels. And of course, the official copies are perfect, while the unofficial copies are sometimes not very similar. 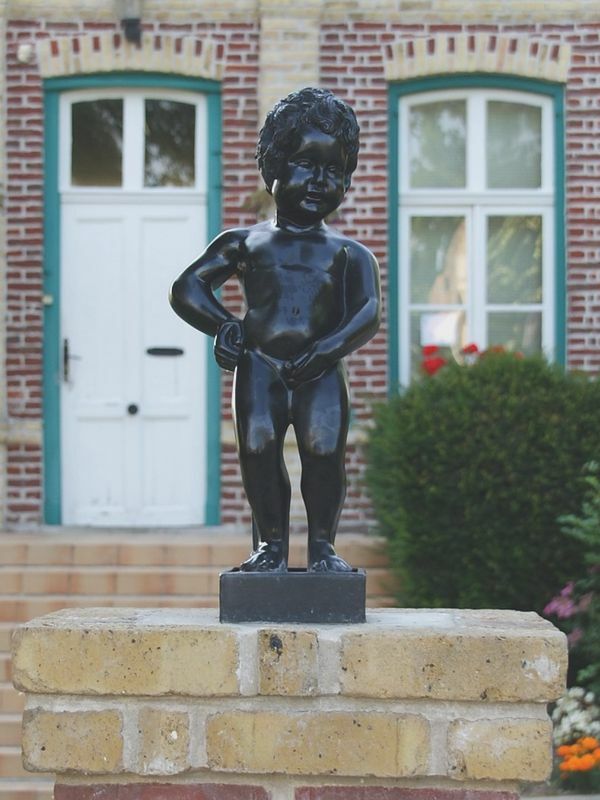 The Belgian commune of Braine-l'Alleud also has a copy of the Manneken Pis. She is called "El kid qui quiiche" and is at the top of a stone pedestal. 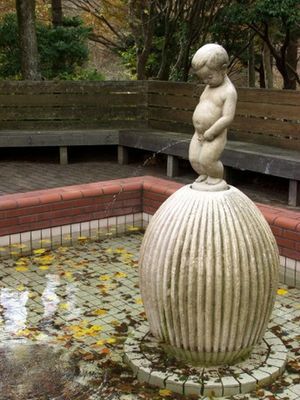 This statue has been vandalized quite recently. Koksijde is a Belgian city that is in the Flemish part of the country. It was installed in 1923. 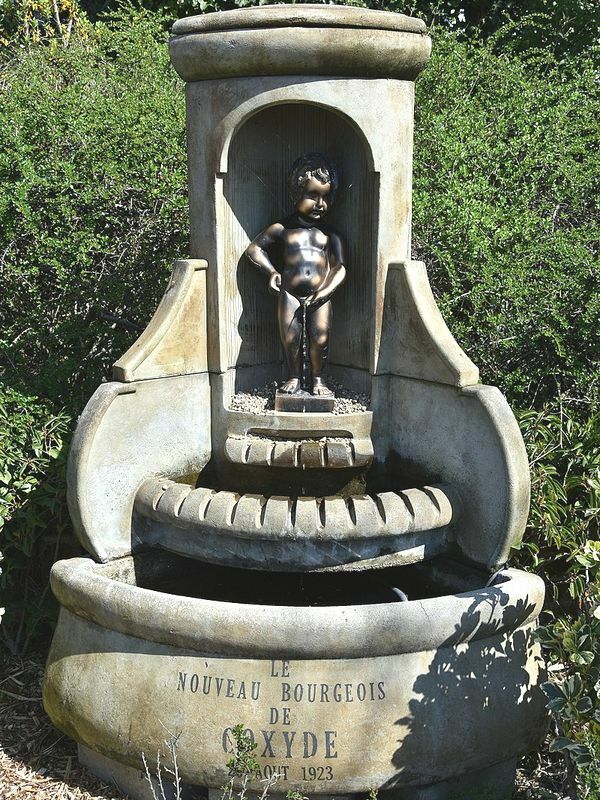 Its base has the following mention: "The new bourgeois of Koksijde - August 16, 1923". 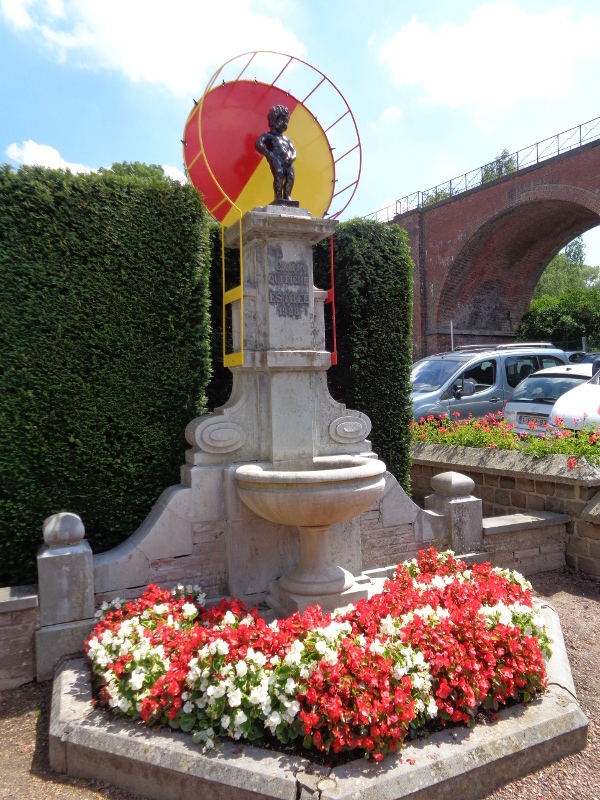 The Fountain-statue of Grammont is not really a replica of the Manneken-Pis as it was melted at about the same time. It dates from 1459. To be exact, it dates from 1985, it is a modern statue, but it came to replace the original statue which, it was dating from 1459. A priori the statue originala was lost. 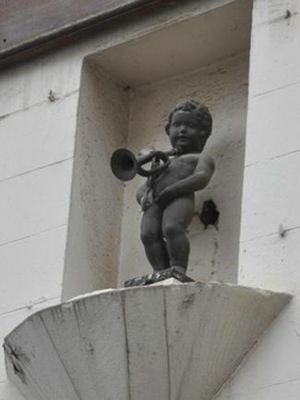 Guinche, Belgium, offers this beautiful reproduction of Manneken Pis on the facade of a brewer. It dates from 1924, when this establishment is installed in these premises, replacing a former printing works. The city of Laeken has been attached to Brussels, of which it is now a district. 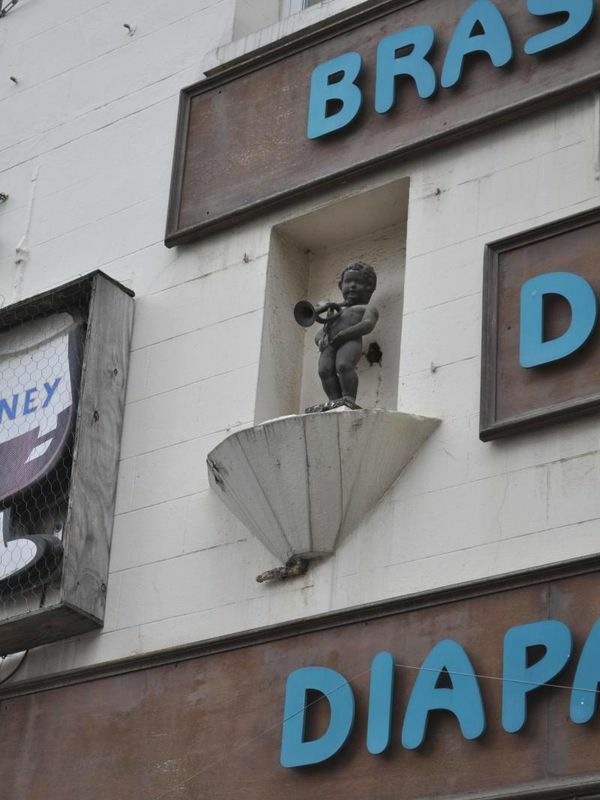 There is a copy of the Manneken Pis in this area. The city of Benalmadena is located in Spain, in Andalusia more exactly (so in the South). 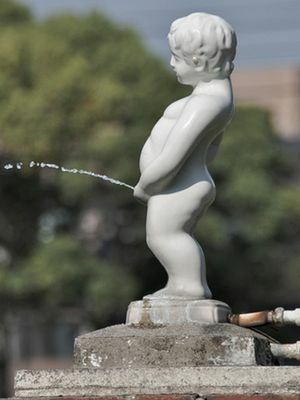 She received an official copy of the Manneken Pis, vandalized copy then redone (in 2011). Bogense is a small town on the island of Fyn, Denmark. There is a small statue of Manneken Pis in a park, and it is due to the consul willum Fonns, a native of Bogense, as a thank you. It must be said that this high character was discovered alone, any baby, in a ferry. Adopted by a local family, he is visibly growing happy enough to want to thank the people with this symbolic gesture. Broxeele is a city in northern France, between Volckinckhove and Rubrouck. 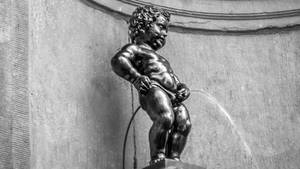 Near the Belgian border, she received an official copy of the Manneken-Pis. It sits nowadays in the park, in front of the town hall. It's not a fountain, just a statue. It is placed on a brick pedestal. The city of Colmar received as a gift an official replica in 1922. It was to celebrate the 4th anniversary of the liberation of the city. Initially installed in front of the municipal baths, it is now rue des Augustins. 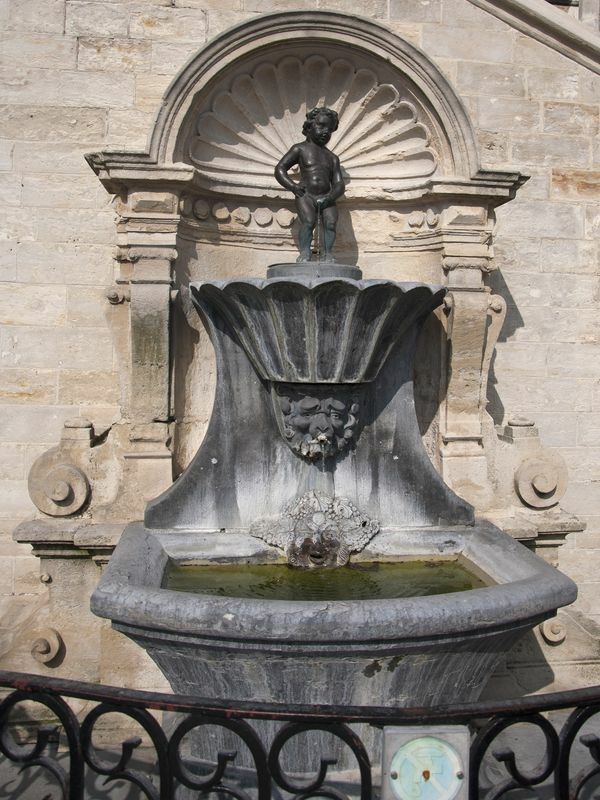 The city of Poitiers has a copy of the Manneken Pis in the lobby of the police hotel. Curious location for a monument commemorating the fact that Poitiers was, for 26 days, the seat of the Belgian government. This episode in the history of Belgium is little known, but real. After the invasion of the country by the German troops, the Belgian government had to flee and found refuge in Poitiers, the time to organize. 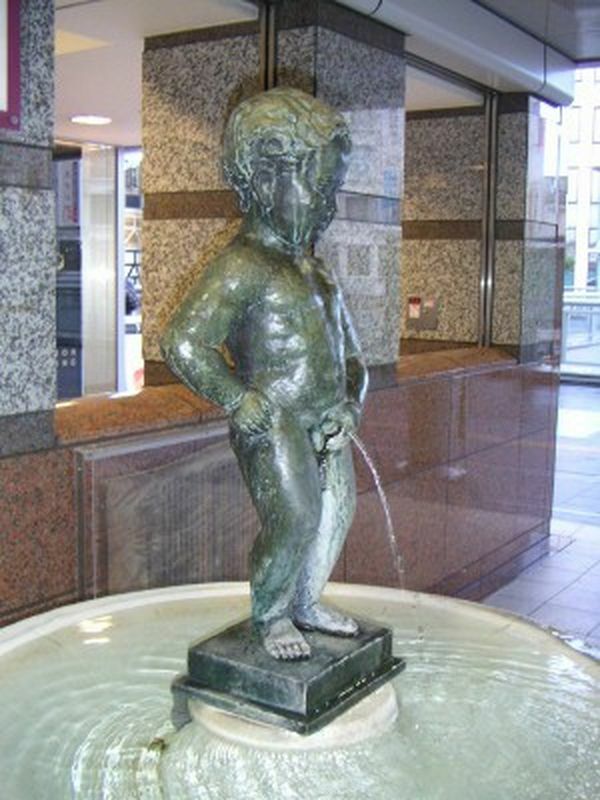 Brussels offered, after the war, a replica of the Manneken Pis in thanks for this very temporary service. The statue is still there. 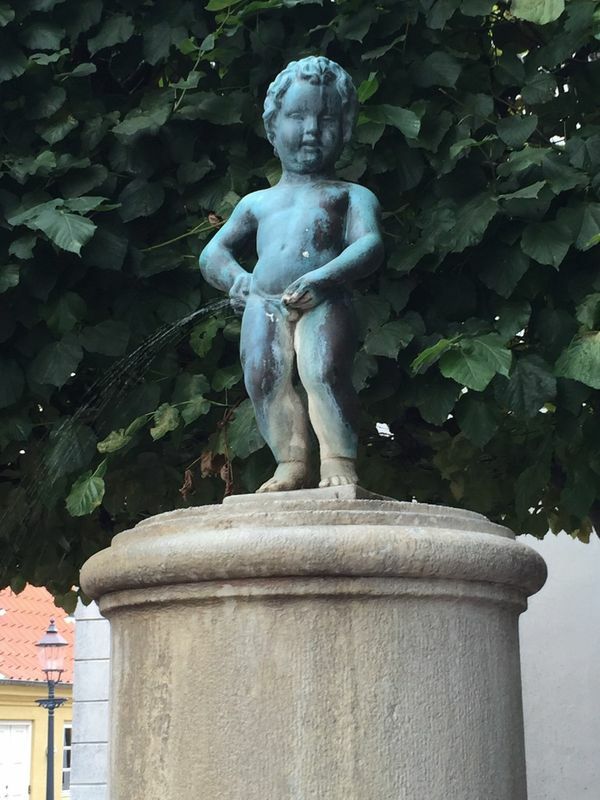 This little boy who urinates in public is a copy of the famous Manneken Pis, but it is not a true copy, as the model is not quite identical. 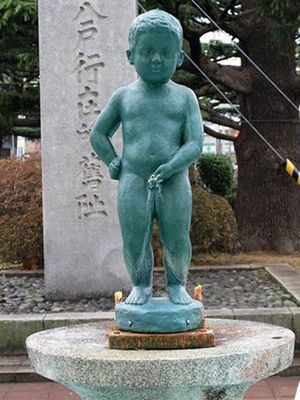 This statue is in the city of Achinohe, Japan. This statue, which dates from 1962, is, for once, not very faithful to the original. The little boy is less chubby, more realistic, and his hair is rather stiff. It is white stone and is perched on a structure that is similar to a succulent plant. This seems normal since it is at the center of a pond in the Botanical Garden of Mount Rokko. The city of Kurume also has a copy of the Manneken Pis. 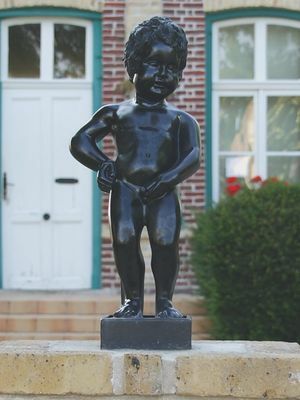 Here too it is not a perfectly identical copy, it is this little boy who urinates in public still looks good to the Belgian statue. The city of Moriya is in the prefecture of Ibaraki, Japan. It's more like a village that has got a city status. 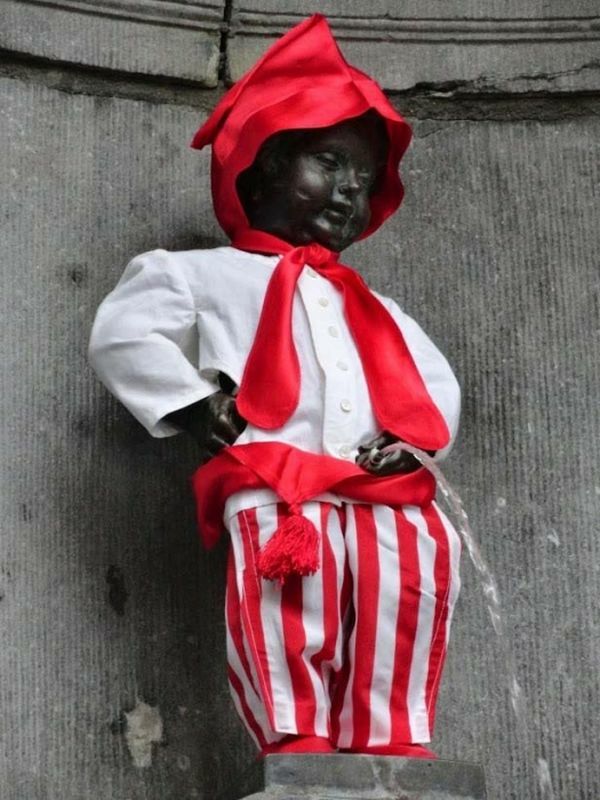 It houses a Manneken Pis whose originality is that it is larger than the original. The official copy of Nagoya is relatively recent, it dates from 2015. It is located in one of the busiest streets of the city, in the center. 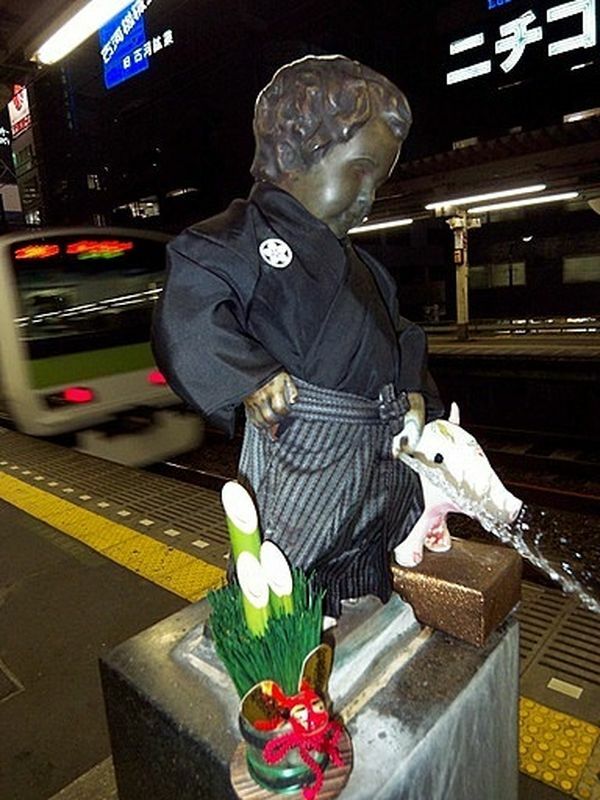 It is at Odawara station that we can find this strange Manneken Pis. He is in the hall of the station. Odawara is a city in Kanagawa Prefecture, Japan. The official copy of Osaka dates from 1928. 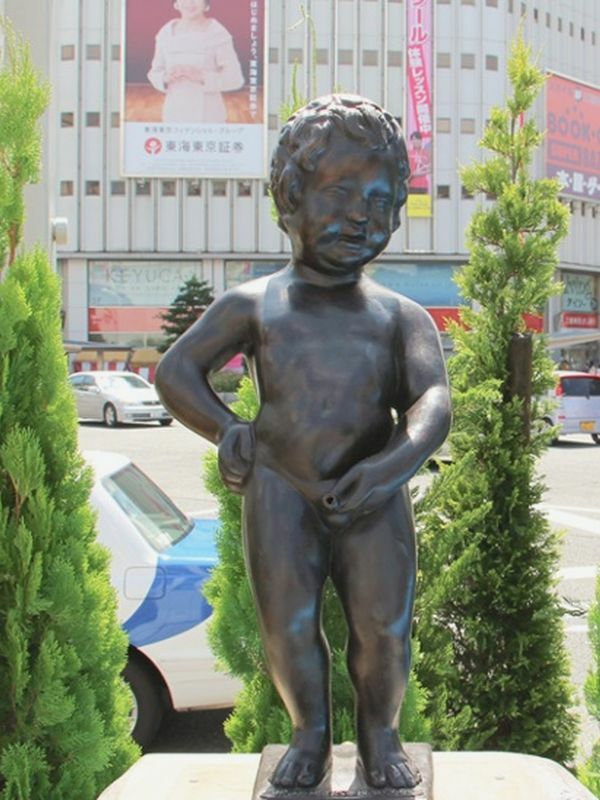 Japan is a country that has received a large number of replicas of the Manneken Pis. There are even two official copies, which is rare! This small statue of Manneken Pis is quite original since it is ... on the platform of a Tokyo station! This is the Hamamatsucho station. The statue is located between lanes 3 and 4. It is not alone, it is perched on a tall pedestal end, at the end of a small monument-fountain flower. There is a plaque accompanying it is written all in Japanese. 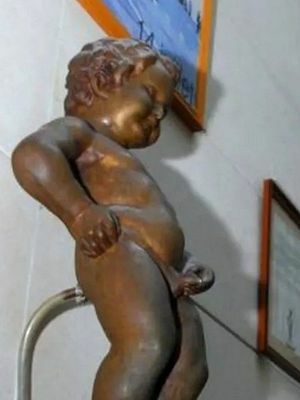 And the height of curiosity, this statue is smaller than the original: 46cm only, instead of 55.5 standard! This copy is in Monaco. This is an official copy, so the resemblance is perfect. The local authorities have even built the same monument that protects it, with decorations in the shape of scallops. This replica is in the hall of Monaco City Hall. 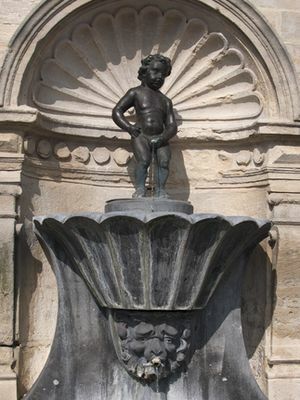 The cities of Brussels and London have a bond of friendship that has pushed the capital of Belgium to offer an official copy of the Manneken Pis to the British capital. 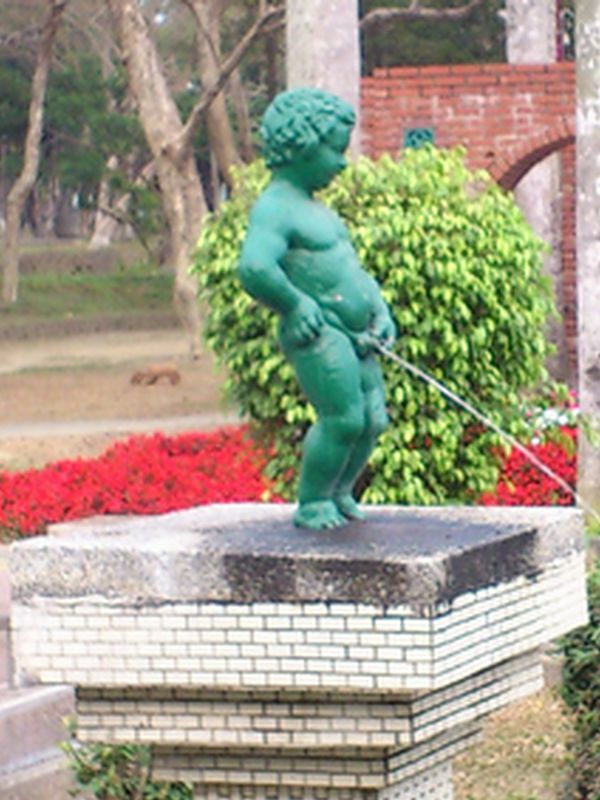 In Taiwan there is a beautiful park, Chiayi Park. It is rather large and has many species of trees and various plants. 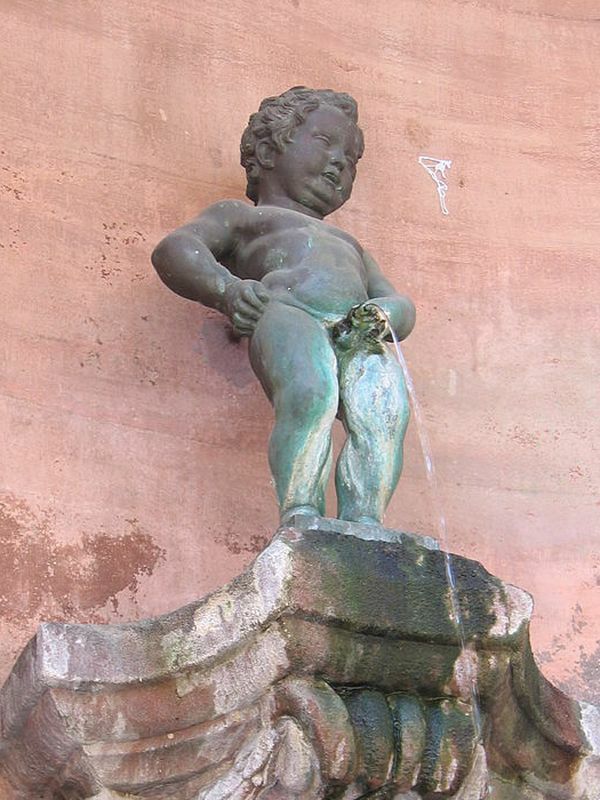 Among them, a pretty fountain equipped with a boy urinating, as does the Manneken Pis.